Is it just me or did it just get a whole lot groovier up in here? It did? Well, that might just be due to the record we chose to feature in this epsiode of A Scene In Retrospect! 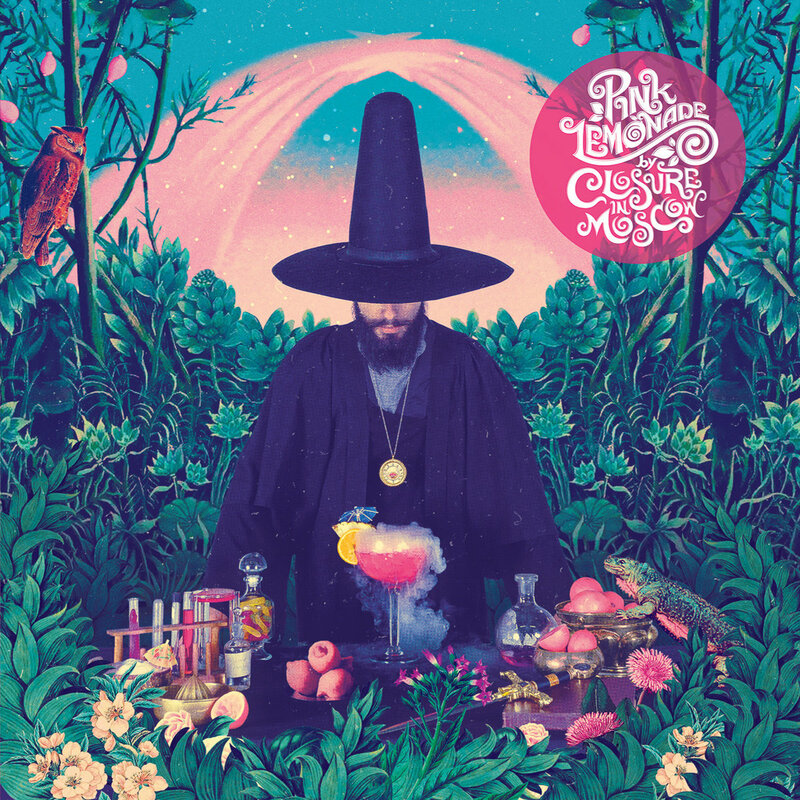 You see, today is all about none other than Australian modern prog wizards Closure In Moscow‘s dazzling second studio record Pink Lemonade, one of the tastiest offerings the genre had to offer over the course this decade. Singing the record’s praises will be PR/social media manager Inter, senior writer/social media assistant Rodney Fuchs, and staff writer Robert Miklos. Please enjoy! Closure In Moscow are another one of those Australian bands that are just simply stellar. I really liked First Temple; it was quite bright, upbeat, catchy and pretty much everything you could ask from what it is. When their sophomore full-length Pink Lemonade rolled around, I thought that I am ready for what it has to offer, especially while admiring the magical artwork. I was sooo wrong. Inside my head, as I was finishing my first lap around the album, it was just like one of those Five chewing gum commercials – an incomprehensibly hyperactive stream of…stuff. While it’s obvious that Closure In Moscow are borrowing a fair amount of stylistics from The Mars Volta, they really managed to twist things into an entirely new shape. Pink Lemonade has quite an impressive dynamic, in spite of not really adhering to any sort of (musical) narrative. Entertainment is basically the hallmark of this entire record. To make things better, the production value and performances are absolutely sterling. Christopher de Cinque’s vocal delivery is quite easily the highlight of this record, but that’s not to say that the rest of the band isn’t top-notch. Pink Lemonade is really quite one of a kind, and so powerful that (to me at least) it became an instant classic. Passing through, it can be noticed that the title track and “Neoprene Byzantine” are bristling at their seams with so much energy, it’s absolutely insane. “Seeds of Gold” mellows everything out in the catchiest of manners. Now, the rest of the album slowly trips out as if the 60’s were going on right now, albeit with a little stylistic reiteration hearkening back to the beginning of the album. This psych tinge becomes most obvious during the end of “The Brahmatron Song”. The last track seems fairly out of place, but it further diversifies the general taste of this listening experience. Closure in Moscow have not produced, at least in my opinion, one single filler track for this record. Everything they have made so far is neatly trimmed and delivered with a great deal of good taste. I can barely wait for their next album! A pink lemonade is a tasty drink. It’s like a grapefruit lemonade that is sweet and sour at the same time, but also leaves a very nice sparkling feeling on your tongue. This is purely metaphoric of course, but Closure In Moscow’s album Pink Lemonade feels like a refreshment for my ears. When “The Fool” begins, my ears are immediately pleased by the great-sounding guitars and the multiple vocal layers. When I think about the band I find myself thinking back to when I listened to “The Church of the Technochrist” for the very first time. An aspect that always amazed me about Closure In Moscow is that Christopher de Cinque reminds me of Mick Jagger. Being a child of the 90s, my parents kinda showed me The Rolling Stones, which really had an impact on my musical direction. I always loved the timbre that Mick Jagger adds to the groovy Stones instrumentals. But it’s their sound in general that makes Closure In Moscow so unique and outstanding in comparison to modern rock bands. I am no dancer at all, but “Seeds Of Gold” always makes me want to start dancing immediately. In comparison to Closure In Moscow’s First Temple, they created something even more unconventional but somehow incredibly catchy. Just take “ピンク レモネード”, for example; it sounds so weird when listening to it for the very first time, but it fits perfectly into this artsy, psychedelic rock album. Closure In Moscow composed this record to be so vivid and well-detailed that not a single one of the eleven songs ever gets boring. All we need now is another record by this band. First Temple celebrates its ten-year anniversary this year, and Pink Lemonade was released five years ago. Closure In Moscow have also become a rare act to see on stage, so hopefully the future will change this and finally let me dance to my favorite songs of this great band (even though I love First Temple a bit more due to the fancy guitar action within the songs)! I fell in love with Closure In Moscow when they released First Temple back in 2009. Their amazingly paced songwriting, great guitar work, and fabulous vocals reminded me of The Mars Volta in a very pleasing way, and I eagerly awaited their follow-up release. It took them five years to deliver Pink Lemonade, but it was well worth the wait. While sticking to their essence primarily, the band shifted even more towards the extravagant progressive rock which is spotlighted by the aforementioned The Mars Volta, and while the similarities are a bit too obvious from time to time, Pink Lemonade is refreshing, utterly catchy, and inspiringly energetic. It’s a pretty ballsy move for a band which had their foot in the door of your typical alternative/progressive rock to shift into more psychedelic, flamboyant territory. Australia has been exporting high-quality bands for decades, but there is something special about Closure In Moscow and especially Pink Lemonade. The journey through the album feels very adventurous, narratively spreaking, surprising the listener with a lot of twists and turns along the way. Every song carries a strong sense of identity, while never losing the cohesive character and freshness of its overlaying motifs. The record is easily one of the most exciting prog rock outings of the decade, and everyone who is slightly interested in modern prog which doesn’t shy away from experimenting and channeling 70’s psych prog has to get their ears wrapped around that beauty. Preferrably with the assistance of some sort of enhancing psychedelia. Just in case. And that’s the end of yet another stroll down nostalgia avenue – our little trip through the psychedelic land down under has brought us safely back to memory lane. Cheap jokes aside, I’d like to know what your thoughts on and experiences with this record are. You can leave them in the comments if you feel so inclined, right next to your suggestions for records to include in this feature. Next PostMo'ynoq - "Dreaming In A Dead Language"